The Queen Catherine Building, completed in 2008, accommodates six classrooms, for 25-30 pupils and a 100 seat lecture theatre. The building adopts a passive approach to reducing energy in use. All classrooms are naturally ventilated, and to help promote the movement of air through the classroom the building utilizes rooftop lanterns which act to draw warm air out of the classrooms whilst increasing the daylight. 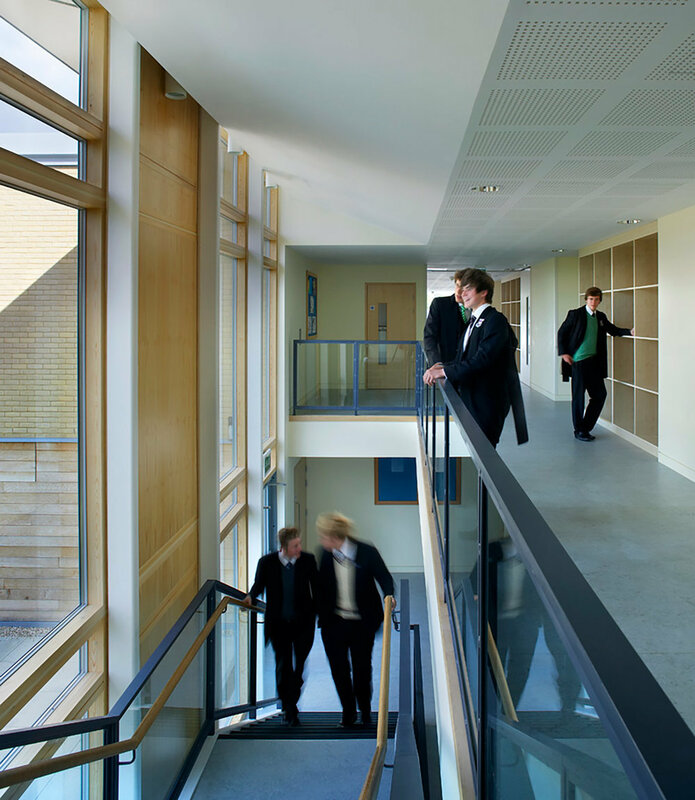 The elevations have also been designed to respond to the buildings orientation limiting solar gain where required, the south west façade of the classrooms utilize vertical timber sun – shade screens to reduce solar gain, whilst still allowing views onto the landscape setting. The building is the first in a proposed two phase redevelopment of the south west area of the campus, and redefines the southern boundary of the cricket pitch. The design was selected following an invited competition and is based on the classical proportions and module found in the nearby Robert Adam designed gatehouse building.